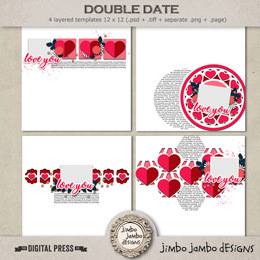 Some time ago I said on the facebook fan page I have created some pages in February during my guest time at the lilypad with my own templates. It's time to show them here. Please click on the image for credits. thanks for stopping by, hope you got inspired!